While Finca Suárez is an oasis of heady, summer calm, doves cooing and cicadas buzzing, fourth-generation vintner Juanfa Suárez — slap bang in the middle of the 2017 vintage — is trying to keep his cool. Juanfa Suárez from Finca Suárez. On the penultimate day of sourcing Chardonnay from the family vineyard in Paraje Altamira, Uco Valley, his mobile phone rings non- stop as he coordinates pickers and grape transportation, orders sparkling wine bottles and organises the rosé harvest while destemming Pinot Noir by hand (my hands are also helping out); the pressure is on. While the winery in its current format is relatively new, springing to life in 2010, this family project has long had a presence in Paraje Altamira. Juanfa says: “The story begins with my great-grandfather, an enologist who’s the only member of the family to have studied the subject. Then, my grandfather and father (Facundo, a former mayor of Buenos Aires city) were grape producers but didn’t make wine. The family’s focus, however, has always been on Paraje Altamira, a southwesterly geographical indication in La Consulta, Uco Valley. A musician by trade who plays guest trumpet with Argentine rock band Onda Vaga, Juanfa is rising to the challenge of replicating his great-grandfather’s profession. He says: “The aim is to change the dynamic from selling grapes to up our own wine production — we’re currently bottling around 15 percent. We sell grapes to Chakana (where Finca Suárez makes its wine), Alto Las Hormigas and Matías Riccitelli for the first time this year. Mendel is one of our most important buyers as they have bought Malbec from the same plot for the past decade. 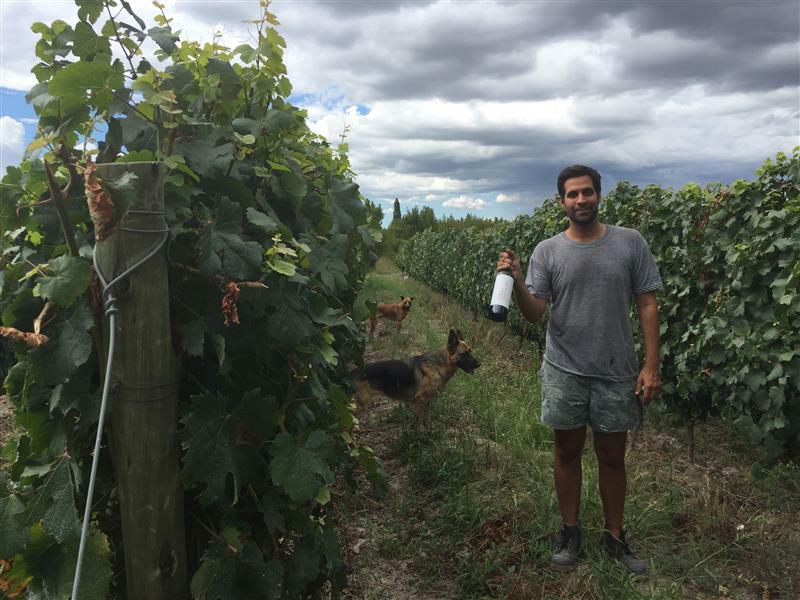 Another pet project has been setting up PIPA, an umbrella group that unites 12 small independent Paraje Altamira-based producers, with the strength in numbers collectively enhancing their profile. And it’s having the desired effect: British wine critic Tim Atkin tasted a bunch of PIPA wines on Tuesday. And, as if he didn’t have enough on his plate down on the vineyards, Juanfa is embarking on a new project with Fabián Vicario, enological support manager at Catena Institute. A long-term project that will only release wines once they are sufficiently aged, Chardonnay, Malbec and Cabernet Sauvignon will be the key players.